"Folk singer with a cat!" 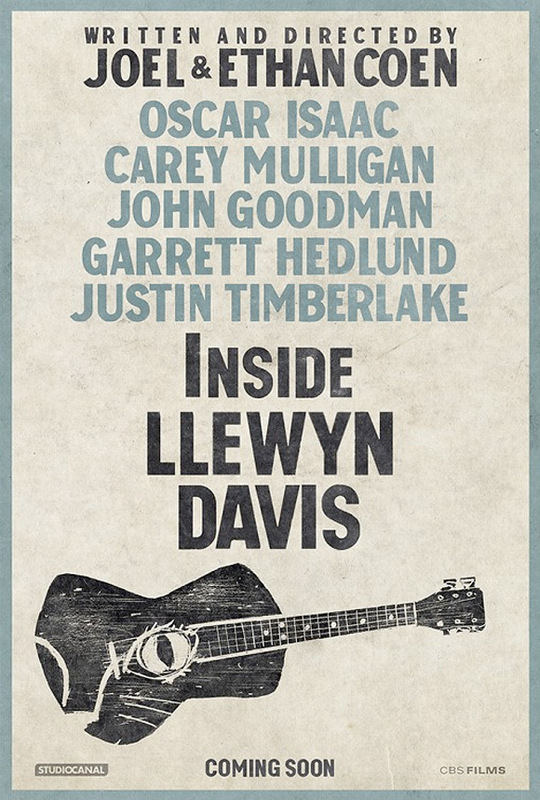 Just in time for the Cannes Film Festival kicking off next week, CBS Films has debuted another brand new red band trailer for Inside Llewyn Davis, the latest film from the Coen Brothers, starring Oscar Isaac as folk musician Llewyn Davis based on the story of Dave van Ronk. We've already seen one excellent trailer already and CBS Films just scheduled its December release, but this looks outstanding. Maybe I'm just in love with New York City and how they've captured it perfectly in this, but I'm very excited to see the film. The red band tag is mostly for language and not much else. Take a look below! Joel and Ethan Coen are writing and directing Inside Llewyn Davis which is partly based on Dave van Ronk's memoir The Mayor of MacDougal Street, which chronicles the musician's time as a larger-than-life presence in the 60's folk music scene in Greenwich Village, known for the famous folk-music haunts and mentoring musicians such as Bob Dylan. Oscar Isaac, Justin Timberlake, Carey Mulligan, John Goodman, Garrett Hedlund, Adam Driver and more star in the film which also brings back O Brother Where Art Thou music producer T-Bone Burnett working with Marcus Mumford of Mumford & Sons. CBS Films picked up Inside Llewyn Davis and has the film scheduled to arrive on December 6th late this year. Yeah I'm totally up for this! 'Bout time we get another one of their masterpieces. This looks fantastic! The end of the trailer was brilliant. Definitely intrigued. I love the Coens, but these trailers are hard to judge. I hope they surprise me with another piece of flawless cinema. Thought that was Anna Paquin for a second. Cool to see Oscar Isaac and Carey Mulligan together again after that failed relationship in Drive. This is on my watch list, maybe at my kids 6th birthday party, he'll love it. I don't know why, maybe it's just a feeling, but this looks brilliant to me. I will see this.